Nevada City, California, March 6, 2018 – From their midtown Manhattan office in New York City, Syncro Services Digital Media processes and manages between 1,000 to 5,000 HD media files per week, most of which are 15-, 30- or 60-second commercials slated for air on network TV, local affiliates, cable networks and OTT services. The company recently invested in a Vantage Media Processing Platform from Telestream to automate their workflow. The process begins when top advertisers and media companies send their commercials in a variety of digital formats to Syncro Services for processing. With scheduled media buys and airdates looming, Syncro performs whatever post production tasks are required to prepare and deliver the finished spots to broadcasters for playout. While this process would be time-consuming and labor-intensive, Syncro Services’ technicians are able to move quickly and achieve a high throughput —even on their busiest days— because they’ve automated their 24/7-workflow with the Vantage Media Processing Platform from Telestream. “Vantage handles Syncro’s current workload very effectively. Compared to the two hours it used to take to manually prepare a single tape-based commercial for distribution, Vantage only takes about 2.5 minutes to process each digital file including its many iterations,” saysIlan Kometz, Chief Operating Officer at Syncro Services Digital Media. When Vantage first arrived in 2014, Syncro’s long-standing manual, tape-based operation gave way to faster, more accurate digital media processing. When Kometz joined Syncro two years ago, he pushed the system further by taking full advantage of the advanced decision-making and media analysis capabilities within Vantage. With their custom Vantage workflows, the Syncro team can rely on the final deliverables to meet the uncompromised quality standards that have sustained their business and reputation for close to six decades. In those rare instances when a file doesn’t pass muster in the final quality control (QC) evaluation, the workflow makes it easy for Syncro’s technicians to trace it back to the source and make the necessary modifications. With its painstaking dedication to quality control, a Syncro technician also performs QC on the incoming media as well as any files that Vantage sidelines for visual inspection using Telestream Switch. For example, if the work order calls for stereo audio, but the file has 8-channel audio, or any other technical discrepancy, Vantage will notify the technician on duty that there is an issue that requires attention. On the final output, a digital QC evaluation is also performed to double-check that all of the work order specs have been met. “Perfection is the goal. We never let any file go out if it doesn’t meet that standard. To do so would be to have missed the mark completely. We trust Vantage to do this critical job reliably, even as it ingests more and more media files into its automated workflow,” says Kometz. Since the media and entertainment industry is very dynamic, and its technical requirements and resolutions are ever changing, Syncro is always developing new ways to shore up its core business while exploring new services that handle technical challenges on the horizon. While their Vantage system handles down converting of 4K source files, such as spots shot with the RED 4K camera, to HD, Kometz is thinking ahead to the day when 4K becomes the industry-standard delivery format, and/or broadcasters begin broadcasting in native 4K/Ultra HD (UHD). 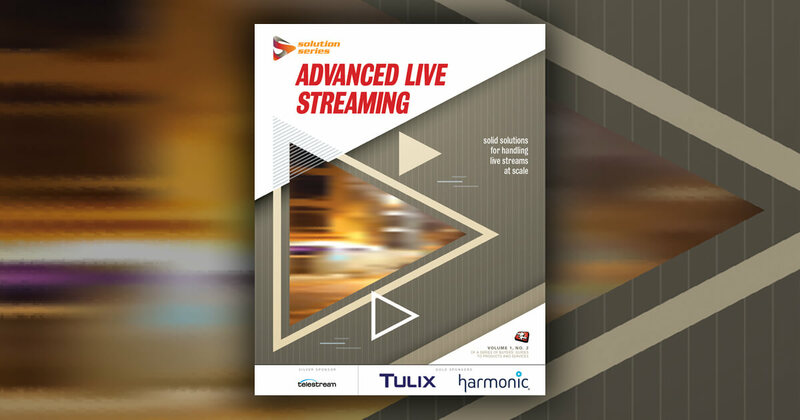 “The most important choice we made was to go with Telestream Vantage to automate our workflow. We don’t have to worry that we’ll paint ourselves into a corner because the technology keeps evolving. If we want to get into something new down the road, like dynamic ad insertion (DAI) for broadcast video on demand, we can just add on the Vantage software module that handles that. Our customers appreciate knowing that we can keep up with their demands,” says Kometz.